Thousands of Americans have dumped their banks or have just never chosen to get a checking account and are using prepaid debit cards instead. There seem to be three reasons for this. First, there are people who simply can’t get checking accounts. Second are people who feel they can better control their spending by using prepaid debit cards. And third, some people believe these cards are simply more convenient. These cards do have some benefits. They can help control spending because they make it impossible to create overdrafts (with their excessively high fees). When the money that’s been loaded onto a card is gone, it’s gone. There is simply no way to overspend. Plus, it’s just impossible to create debt with one of these cards. 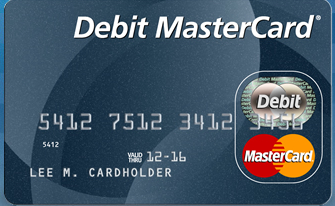 Finally, you can use debit credit cards overseas any place that accepts MasterCard or Visa cards. Unfortunately, there is a dark side to prepaid debt cards. For one thing, they are not really a good alternative to a checking account. In some cases, prepaid debit cards actually require higher fees for distributing funds when compared to writing a check. A second downside to prepaid debit cards is that they don’t help people learn to manage their finances as they would when using a checking account. For example, people with checking accounts usually learn more about managing debt and building credit than those who rely on prepaid debt cards. In some cases, a prepaid debit card can come with exorbitant fees such as fees for activation, ATM use, usage, reloading, maintenance, service assistance, inactivity and so on. It just comes down to how imaginative the bank is in terms of extracting money from you. One of the biggest advantages of having a checking account is that you can set up automatic payments so that you pay all your bills on time. And there is generally no charge for this service. For that matter, banks won’t charge you for withdrawing money from a checking account or for transferring funds between accounts. Although these are fast becoming an endangered species, it’s still possible to get a completely free checking account and there is no way that a prepaid debit card can compete with that. If you have no credit history, a very low credit score or a very low monthly income, you might be a candidate for prepaid debit cards. One of these cards can be an especially good choice if you’re trying to rebuild your credit. Banks generally report how you’ve used a prepaid debit card to the three credit reporting bureaus. If you use it sensibly, this can have a positive impact on your credit score. Use one of these cards wisely for a year and the bank that issued it may then offer you a regular credit card. Don’t sign up for any prepaid debit card until you’ve read all the fine print. As I wrote above, some can have so many different miscellaneous fees they could literally cost you four or five times more than you had anticipated. If you have any problem understanding the fine print (the card’s terms and conditions), don’t be afraid to ask a friend for help. This is a case where ignorance is definitely not bliss and it’s not folly to be wise.